Global electric passenger vehicles market has witnessed major growth in the past few years on the back of rising emission and environmental pollution. Rising number of electric vehicles states that major market players of automotive industry are experiencing intense and prolonged challenges such as innovative technologies, stringent fuel-efficiency regulations and new competitors such as Google and Tesla Motors. Regardless of low oil prices, global sales of electric vehicles have been increased from 36,000 units in 2011 to more than 2.5 million units in 2015. Despite massive increase in sales, market share of electric vehicles was only 0.3% in 2015. Growing global pressure on major economies and developing countries to reduce the carbon footprint is one of the primary factors for the adoption of electric vehicles. Rising awareness among the population towards the rising emission from gasoline vehicles and its affect on health and environments are some of the major factors driving the growth of electric passenger vehicle market. Moreover, cost reductions in batteries, favorable policy support, advanced technological progress and developed infrastructure availability propels the growth of global electric vehicles market. Additionally, government campaigns for consumer awareness to inform them about the benefits of electric vehicles and about the incentive programs of the government are also supporting the rising demand for electric passenger vehicles. Robust research and development activities and consumer awareness campaigns will shore up the global electric passenger vehicles market. Despite on-going research and developments to improve the battery performance and to reduce its cost, electronic vehicles still face major challenge as batteries are still expensive and increase the final price of the electric passenger vehicles. 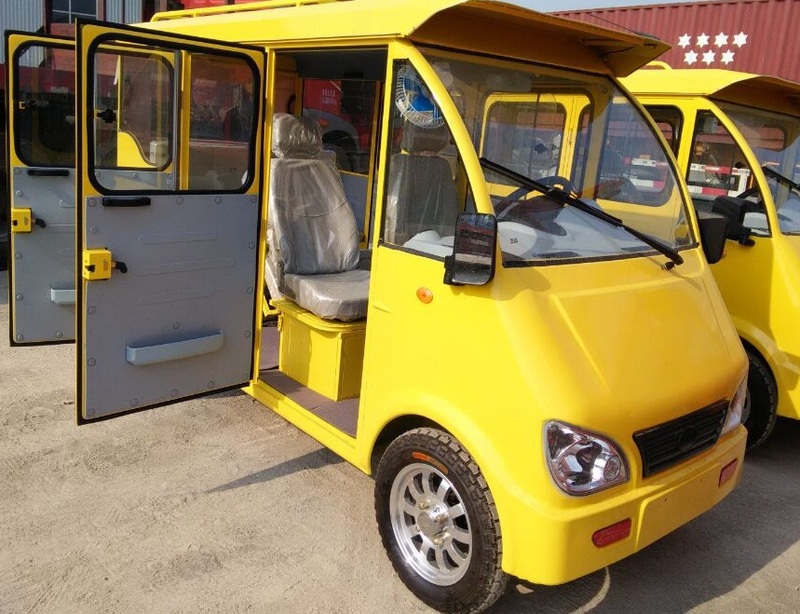 Moreover, lack of awareness among the population in developing countries, is also hindering the growth of global electric passenger vehicles market. Continuous advancement in battery technologies and mass production of vehicle batteries results in decline of battery costs and large scale deployment of electric vehicles. Continuous improvement in battery technology ensures the contraction of cost competitiveness between electric vehicles technology and internal combustion engines (ICEs). Estimation of target by countries, OEMs announcement of electric vehicle deployments seem to drive the market growth significantly. These factors are indicating positive signs and it is estimated that electric vehicles stock will range between 30-50 million units by 2024. Electric Vehicle initiative (EVI), a multi government policy forum, devoted to introduction and adoption of electric vehicles globally. EVI forum provided the investment of more than USD 8.1 billion for research & development activities to overcome the major hurdle to adopt electric cars by considerably reducing battery costs. EVI also supports various consumer awareness campaigns, which helps in raising the electric passenger vehicle market growth. Presence of passenger vehicle charging infrastructure in countries like U.S, China and regions such as Western Europe plays an important role for the rising sales of electric passenger vehicles. There were more than 1.4 million electric charging stations across the globe in 2015 and these charging stations are expected to increase exponentially over the forecast period. Publically accessible charging stations play significant role in adoption of electric passenger vehicles. China and Japan accounts for more than 65% fast-charging stations globally. Form the market point of view, U.S and China dominates the global electric passenger vehicle market in terms of providing better charging infrastructure and after sales service. One of the major trends for the electric passenger vehicle market is the presence of monetary and non-monetary government subsidies. For instance, in Norway government are providing subsidies on electric vehicle purchase and also non-monetary government policies such as access to bus lanes and free parking for electric vehicles are also increasing the adoption rate of electric passenger vehicles in the country. On the other hand, lack of awareness among the population in developing countries and lack of government initiatives to provide better policies and infrastructure for the adoption of electric vehicles hinders the global electric passenger vehicles market. Additionally, despite decreasing cost of electric vehicles battery packs, the cost of overall vehicle on the basis of technology is still high. Battery costs at current market level still costs more than USD 9,000, much more than conventional combustion engines which is a major challenge for the electric passenger vehicle manufacturers. Global electric passenger vehicles market accounted for the USD 92.3 billion in 2015 which is projected to reach USD 312.2 billion by 2024. Further, the market is anticipated to grow at a compound annual growth rate of 16.4% during forecast period between 2016 and 2024. Norway has the highest adoption rate of 29% of electric passenger vehicles in 2015 in terms of deployment of electric vehicles. In China and The UK, 1.5% of the total numbers of vehicles are electric vehicles. China accounts for more than 40% of the electric vehicles sales globally, which is twice the units of cars sold in United States. In terms of volume, China is the dominating region in global electric passenger vehicle market and it is expected to maintain its dominance over the forecast period on the back of large number of regional electric passenger vehicles manufacturers. In 2016, China became the largest electric car market with largest electric car stocks of more than 200 million two-wheelers, more than 3 million low-speed electric vehicles (LSEVs) and more than 300 thousand stock of electric buses. Moreover, government initiatives in developing countries towards the adoption of electric vehicles are also raising the demand for electric passenger vehicle.